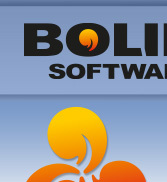 Bolide Software offers computer users a new version of its similar image finder that relies on the CBIR technology to compare images and find similar or duplicate pictures and photographs. February 03, 2009 - Bolide Software today announces Image Comparer, a similar image finder that lets users find similar or duplicate images automatically and delete redundant files. Until now, most people used to browse through computer folders manually to find dupes and similar photos. Image Comparer puts this process on autopilot. Using a content-based image retrieval technology (CBIR) for image comparison, the program is able to find dupes and similar pictures, regardless of their file name, format, image size, bit depth and orientation of the object. Taking photos or downloading images from the Web is part of our daily life. Over the years, people collect thousands of them in the computer - photos made with the camera, wallpapers, clipart, images and artwork, the list goes on and on. Unfortunately all these images are hardly ever kept organized. People save them to different folders in different formats and then re-save their copies to other folders and sub folders. Duplicates take space on the hard disk, slow browsing through the collection and cause confusion as too many times we wind up not remembering where we put that particular photo we need now. Browsing through folders to compare images can be very daunting and would take ages, so many users don't do this, planning to sort out pictures later. And never do this. Fortunately with Image Comparer from Bolide Software, finding duplicate or similar images can be pretty much a snap. Running Image Comparer displays an easy to follow wizard that asks where the user wants to search - within one photo folder or compare images in two different folders. The next step is to choose the folder(s) to scan, select whether to search for duplicates or similar images and set the folder for the output results. That's pretty much it. Clicking the Process button starts the search, which is incredibly quick. If you would like to request review copies of Image Comparer, please mail Max Smirnoff, pr@bolidesoft.com. A full version of the product can be provided to the readers of your edition. Image Comparer - Nice job, guys! "To say that my collection of different photos and images is large is to say absolutely nothing! Not even thousands, but tens of thousands images which seem very much alike and absolutely disorganized. As a result of using the program, I detected hundreds of clones and very many all-too-similar photos and organized them cleverly and, surprisingly, fast! So, I can be sure that my collection is all right now and I happily use Image Comparer and recommend friends to do the same ;)"